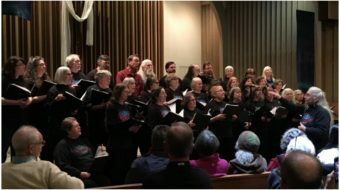 DETROIT – Metro Detroiters gathered at Central United Methodist Church Dec. 8 to observe the 100th anniversary of a historic strike by miners in Michigan’s Copper Country and to watch a new film on the Italian Hall disaster in which scores of miners’ children died. The film, 1913 Massacre, deals with both the bitter eight-month strike and the children’s deaths during a Christmas Eve party. At the party, someone, perhaps a strikebreaker, gave a false cry of “fire” that led to a panicked rush to a narrow staircase where 73 people, 59 of them children, suffocated trying to leave. The disaster shook the people of Calumet and surrounding communities in the copper-rich Keweenaw region of Michigan’s Upper Peninsula. A miles-long funeral procession took the small white caskets for burial at Lake View Cemetery overlooking Lake Superior, where headstones today mark the tragedy. By the time of the strike, over 7,000 miners had joined the Western Federation of Miners and had written to the Calumet and Hecla Mining Corporation for a meeting to discuss hours, wages, and working conditions. Miners worked 12-hour days six days a week and earned $3 a day. In 1912 alone, accidents caused an average of nearly one death and more than 12 serious injuries every week. Miners picketed, rallied, and held parades to press their demands, and well known leaders like Mother Jones and Ella Reeve Bloor came to join them. After the Italian Hall disaster, many miners left town and within four months the strike drew to a close. Miners got a small wage increase and a reduction in working hours, but little else. It would not be until 1943 that they would win their first contract with the help of the Mine, Mill, and Smelter Workers union, later to become part of the Steelworkers. The last mine closed in 1968. I knew something about the copper strike, having spent many summer vacations as a youth in Calumet, where my mother was born to Finnish immigrants who were farming on company land. Finns, Croats, Italians, Slovenes, Scots, and other immigrants made up a large part of the population and the workforce in the mines. But it wasn’t until the late 1970s that I learned that our family had a connection to the Christmas Eve tragedy. 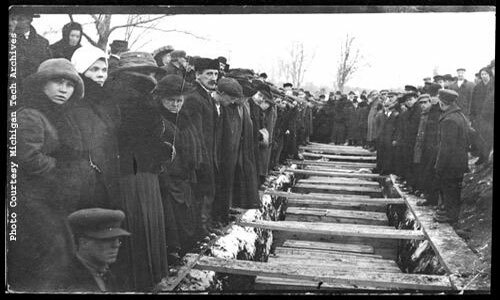 My uncle, Ted Taipalus, was visiting us in Detroit, and I had put on the phonograph a recording of Woody Guthrie’s ballad, “1913 Massacre,” based on the Italian Hall tragedy. To my surprise, Ted suddenly said, “I was there.” His father had been a striking miner, and he, then 10 years old, and his brothers and sisters had gone to the party along with other strikers’ children. While he and his brothers escaped death by going out a second-floor window, two little sisters, Ellen, 7, and Mildred, 5, were both caught in the staircase crush and died. The loss of the two young girls hurt his father terribly, Ted said. “He took me in his arms and cried like a baby. I had never seen my Dad cry before.” After the strike ended, Ted said, a mine boss came to his father and asked him to return to work. 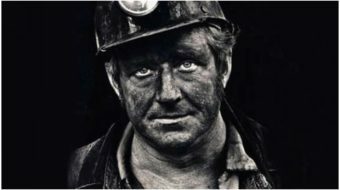 But so devastated was he from the loss of his daughters, he, like many miners, would never go back into the mines again. Ted, who went on to join the Border Patrol on the Detroit River across from Canada during Prohibition, returned to Calumet in 1955. The Italian Hall itself, on Seventh Street in Calumet, was demolished in 1984, a decision that many residents opposed. Today, visitors can learn about the tragedy at a peaceful memorial park on the site built with the help of the Steelworkers and Operating Engineers unions. The arched doorway to the fatal stairway remains, and plaques tell the story of the tragedy. Last summer, hundreds of people of Finnish descent from throughout the U.S. and Canada gathered at the site for ceremonies during the national FinnFest to honor the memory of those who died. Government officials and a children’s choir from Finland participated in the ceremonies. At the nearby village hall, the names of each of the victims were displayed with flowers. The National Park Service, which has designated the Keweenaw region as a National Historical Park, runs a visitors’ center in Calumet, and holds regular walking tours that end at the Italian Hall site. Portions of this article appeared earlier in Looking Back, Moving Forward, the publication of the Michigan Labor History Society, whose website (http://mlhs.wayne.edu) has more on the Italian Hall tragedy. The film 1913 Massacre is available on DVD for $25 at www.1913massacre.com. 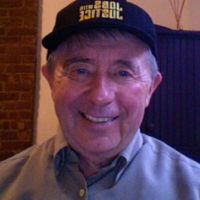 Dave Elsila is a retired editor of the UAW magazine Solidarity and, before that, was editor of the AFT's American Teacher. He lives in metro Detroit, where he's on the board of the Michigan Labor History Society and Detroit Democratic Socialists of America.